We’re proud to release our 3rd version of PULL The Device and VST controller for Ableton Live. 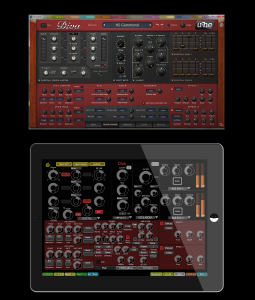 This update makes PULL compatible with Live 9.5, and enables access to the new features, such as Virtual Analog Filters for AutoFilter, Operator, Sampler and Simpler. We’ve also overhauled the Simpler template added some new features that are now available in Ableton Live 9.5. The great thing about Diva is that nearly all the parameters are available to Ableton. We can even change the tabs on the oscillators, filters, adsr’s etc. We’re also releasing our Diva template with a new piece of software called xPlugin, which allows you to control an unlimited mount of parameters (Ableton Live’s limit is 128, xPlugin removes this limit). Oh please do the microtonic first man! Also do you plan on implementing control over USB like the touchable app? We might do Microtonic soon, but its likely to be V3 rather than V2, because V3 enables access to the step seq by midi. PDANet might also work instead of MyWi – It might be free.